Nalanda University was born in the 5th century CE and was consumed by flames in the 12th. Eight hundred years later the doors are open once again (classes begin Sep 14). We are hopeful that the distinguished faculty led governing board and the international funding from China, Singapore and Japan will make for a good start. Hopefully this will also put Bihar on the map......as the poorest in Bihar prosper, so will the rest of India. [ref. Wiki] The Governing Board of Nalanda University: Amartya Sen (Harvard), Sugata Bose (Harvard), Wang Bangwei (Peking University), Wang Gungwu (National University of Singapore), Susumu Nakanishi (Kyoto City University of Arts), Meghnad Desai (London School of Economics), Prapod Assavavirulhakarn (Chulalongkorn University, Thailand), George Yeo (Former Minister for Foreign Affairs of Singapore), Tansen Sen (Baruch College, CUNY), Nand Kishore Singh (Member of Parliament – Rajya Sabha), Chandan Hareram Kharwar (Pune University). So what of the future? We remain sceptics as there is no visionary leader willing to lead the fight. They should have paid top dollar and got a high priced CEO to be present on-site (in remote, law-less Bihar) and lead the effort from the front. Prof Sen (junior) seems to be just the right man (age, qualifications, plus the gift of a syncretic name like Tansen Sen) for the job. As rumors have it, things are being remote-controlled by warm bodies residing in Delhi, which does not exactly inspire confidence. We hope that for once Indians can rise above pettiness. [ref. Wiki] Nālandā was an ancient higher-learning institution in Bihar, India. The site is located about 88 kilometres southeast of Patna, and was a religious centre of learning from the fifth century CE to 1197 CE. 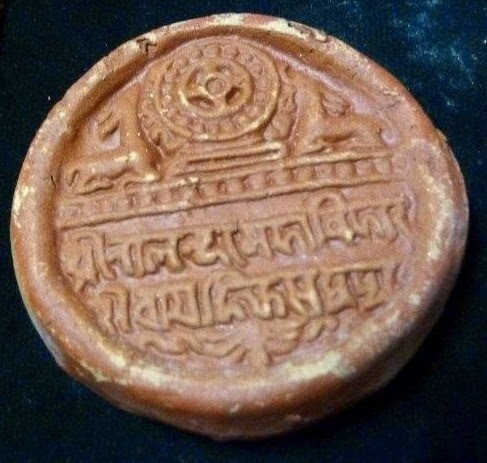 Nalanda flourished between the reign of Śakrāditya (whose identity is uncertain, who might have been either Kumaragupta I or Kumaragupta II) and 1197 CE, supported by patronage from the Gupta Empire as well as emperors like Harsha and later rulers from the Pala Empire. The complex was built with red bricks and its ruins occupy an area of 14 hectares (488 by 244 metres). At its peak, the university attracted scholars and students from as far away as Tibet, China, Greece, and Greater Iran. Nalanda was ransacked and destroyed by an army of the Muslim Mamluk Dynasty under Bakhtiyar Khilji in 1193 CE. The Nalanda University in nearby Rajgir is an effort to revive and re-establish this ancient institution of learning. Nalanda University was one of the world's first residential university as it had dormitories for students. It is also one of the most famous universities. In its heyday, it accommodated over 10,000 students and 2,000 teachers The university was considered an architectural masterpiece, and was marked by a lofty wall and one gate. Nalanda had eight separate compounds and ten temples, along with many other meditation halls and classrooms. On the grounds were lakes and parks. The library was located in a nine storied building where meticulous copies of texts were produced. The Tang Dynasty Chinese pilgrim and scholar Xuanzang studied, taught and spent nearly 15 years at Nalanda University. He has left detailed accounts of the university in the 7th century. Yijing has also left information about the other kingdoms lying on the route between China and the Nālandā university. He was responsible for the translation of a large number of Buddhist scriptures from Sanskrit into Chinese. Library of Nalanda University which is reported to have burned for three months after the invaders set fire to it, ransacked and destroyed the monasteries, and drove the monks from the site. Japan and Singapore are financing the construction work, with contributions totalling around US$100 million. Gopa Sabharwal has been appointed the first Vice-Chancellor of this university in February 2011. It has been estimated that US$500m will be required to build the new facility, with a further US$500m needed to sufficiently improve the surrounding infrastructure. The group is looking for donations from governments, private individuals and religious groups. The State Government of Bihar handed over 443 acres of sprawling land acquired from local people, to the University, where construction work has begun. It is a dream project of the former Indian president APJ Abdul Kalam. Classes for the School of Ecology and Environmental Studies and the School of Historical Studies. Right now there are 15 students and 11 faculty members at the campus. Sabharwal said there were two reasons for starting on a small note as she wanted the students and teachers to settle down, and that Union external affairs minister Sushma Swaraj would be visiting on September 14. More than a thousand students from various countries across the globe had applied for the seven schools on different subjects that will function at the university, of which only 15, including one each from Japan and Bhutan, were selected.